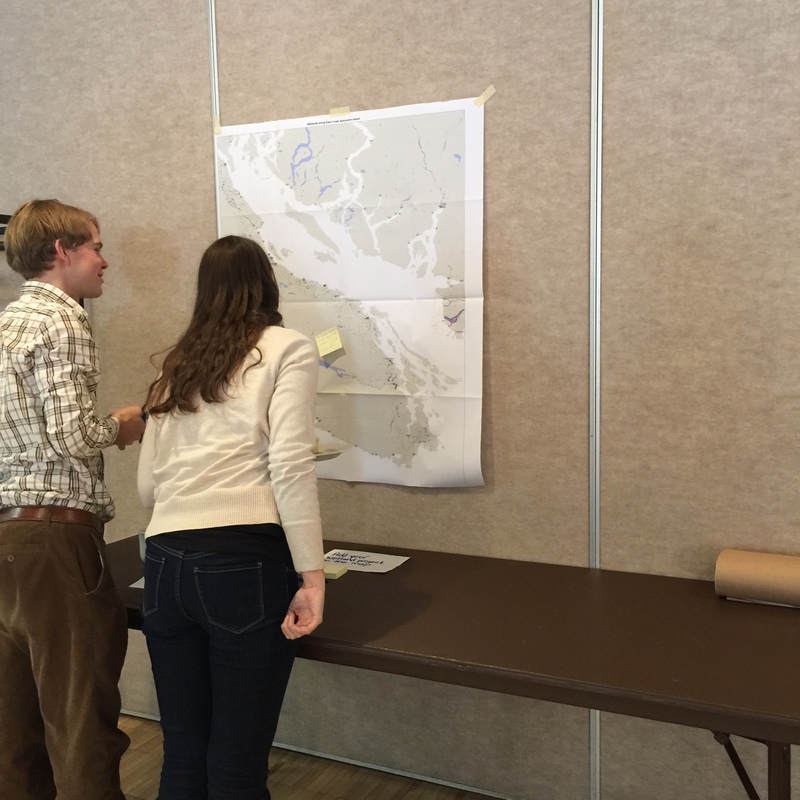 On January 29th 2015, the Wetlands Education Team traveled to Nanaimo to host a workshop designed to bring together stakeholders involved with wetland conservation on Vancouver Island. The workshop offered a great networking opportunity for participants to learn about projects their neighbors are working on to protect and conserve wetlands. “It was great to see so many participants and hear from different jurisdictions” said one engaged participant. Along with building new connections, this workshop was designed with input from key stakeholders. 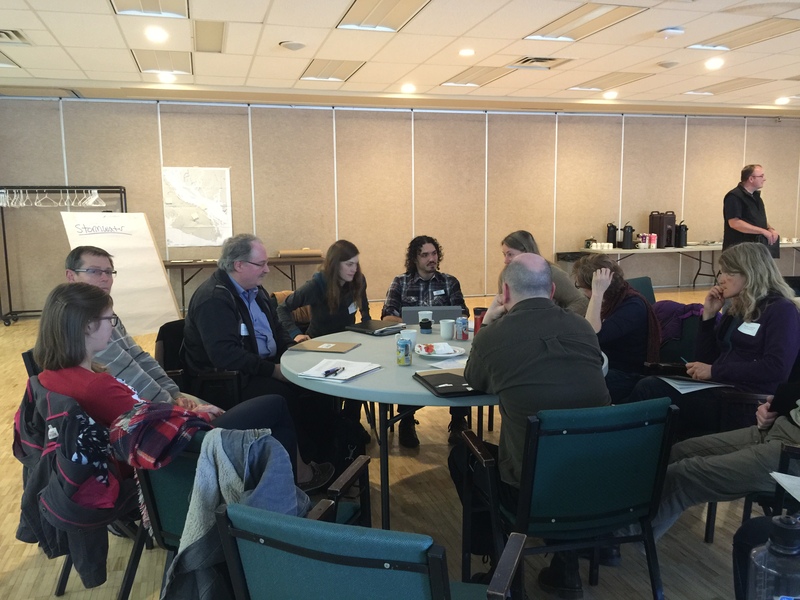 Last November, we spoke with municipal and regional staff and lead conservation groups about priorities and challenges they face regarding wetlands. From these conversations, we selected the following learning outcomes for the workshop to support local government and stakeholders: 1) municipal and regional tools and requirements for protecting wetlands, 2) storm water management and wetlands, and 3) prioritization of wetland assets and prioritization of restoration opportunities. 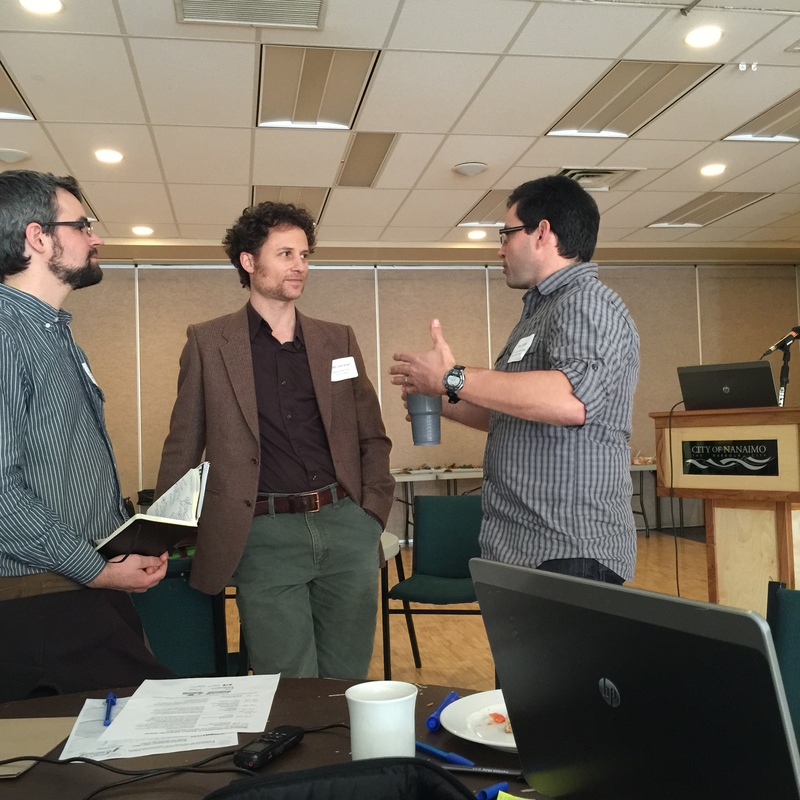 Neil Fletcher (BCWF Wetland Education Program), Todd Carnahan (Habitat Acquisition Trust), Dan Buffett (Ducks Unlimted) debrief about the workshop. Peter Law (Director, Partnership for Water Sustainability in BC) gave an overview of the initiative on Convening for Action on Vancouver Island (CAVI) for water sustainability. Deborah Curran, (UVic Hakai Professor in Environmental Law and Sustainability & Program Director, Environmental Law Centre) spoke about municipal and regional tools and requirements for protecting wetlands and provided an overview of new content from the 2nd edition of the Green by-laws toolkit. Laura Brophy (wetland scientist, Institute for Applied Ecology) shared the “Oregon method” for prioritizing which wetlands to restore and protect, given limited resources. She described how to get the information needed for the prioritization, and case studies of how the methodology was implemented. Jim Dumont (senior water infrastructure engineer) covered the valuable principals of integrating stormwater ponds, considerations for design, maintenance, and landscape level planning. Elke Wind (Biologist, E Wind Consulting) gave an informative presentation called “If you build it, they will come”, which focused on the intentional or unintentional attraction of amphibians to stormwater ponds and best management practices. Lastly, Ivy Whitehorne (Coordinator of National Conservation Fund, Canadian Wildlife Service) promoted The National Wetland Conservation Fund and opportunities to access $50million over 5 years. The wetlands team was amazed by the overwhelming support and interest for this workshop. With nearly 20 individuals on the waitlist, we had to change the venue to accommodate everyone less than 1 week prior to the big day. Nearly doubling what we expected, we welcomed 42 professionals who are involved with wetland conservation. There were representatives from 6 municipalities and 4 regional districts including: City of Campbell River, City of Courtenay, City of Nanaimo, City of Parksville, District of Saanich, Municipality of North Cowichan, Comox Valley Regional District, Capital Regional District, Cowichan Valley Regional District, Regional District of Nanaimo. Along with local government representatives, it was also important to involve conservation groups such as: Cowichan Land Trust, Ducks Unlimited, Nature Conservancy of Canada, Habitat Acquisition Trust, and many other stewardship groups, consultants, and researchers who are involved with wetlands conservation. After the presentations, we divided into 3 groups to have a less structured discussion with the presenters. The stormwater group led by Jim Dumont, Elke Wind, and Jason Jobin highlighted the challenges for biologists and planners/city workers around inconsistent regulations and lack of collaboration in the planning process. Ivy Whitehorne and Diane Kiss facilitated a group around the National Wetland Conservation Fund, where participants were given the opportunity to ask questions on details on the fund and what they are looking for in applications. Neil Fletcher led a discussion on the barriers and opportunities for small communities. One of the outcomes was recognizing the need for a perspective change regarding wetland values on private property and the need for municipalities to account for ecosystem services. These breakout sessions were also a great opportunity for participants to share projects they are currently working on. Thank you to everyone who came together in Nanaimo. Special thanks to all of the featured speakers that took the time to put together an educational and informative group of presentations. This workshop would not have been possible without the generous financial support of the B.C. Wildlife Federation, Real Estate Foundation, Wildlife Habitat Canada, and Environment Canada, and Ducks Unlimited Canada.